.and crossing over takes place between the donated Hfr chromosome and the original chromosome of the F- cell. Crossing over may lead to recombination of alleles (bright green in place of black segment). 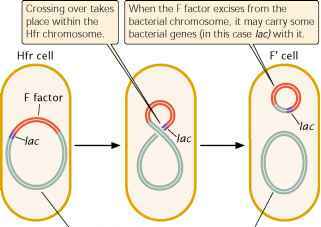 8.16 An Hfr cell may be converted into an F' cell when the F factor excises from the bacterial chromosome and carries bacterial genes with it. 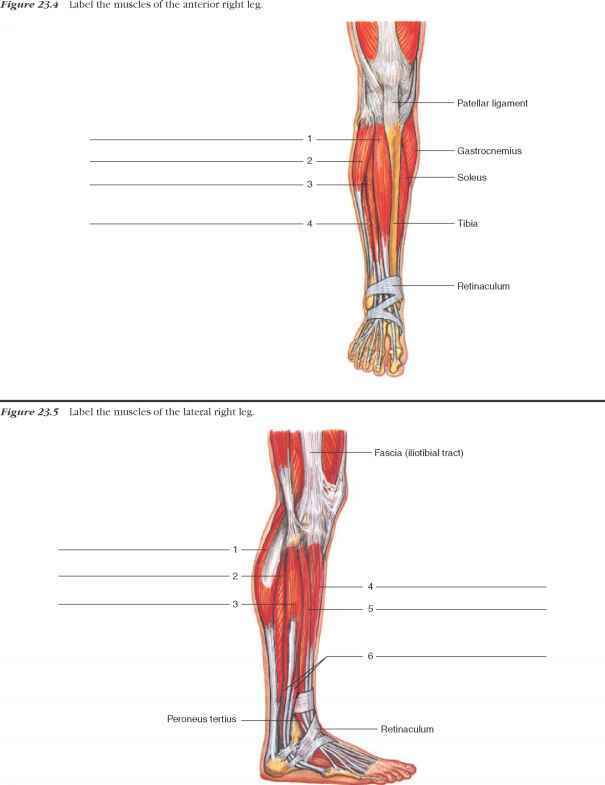 may be removed with it, and these chromosomal genes will then be carried with the F plasmid ( FIGURE 8.16). Cells containing an F plasmid with some bacterial genes are called F prime (F'). For example, if an F factor integrates into a chromosome adjacent to the chromosome's lac operon, the F factor may pick up lac genes when it excises, becoming F'lac. F' cells can conjugate with F~ cells, given that they possess the F plasmid with all the genetic information necessary for conjugation and gene transfer. Characteristics of different mating types of E. coli (cells with different types of F) are summarized in Table 8.2.